Looking for deals in Dubai? Located in one of Dubai’s most vibrant and spectacular neighborhoods, Rove Dubai Marina is the perfect destination for leisure travelers. The modern designed hotel and the polite staff. I would like to emphasize two employees who are Stephen and a girl (i forget her name, but i suppose that she is from Kazakhstan, speaks in Russian), they are responsive and courteous. Located on the Dubai Creek, Zabeel House MINI by Jumeirah is playful, pocket friendly and located right in the heart of the hustle and bustle; perfect for eager explorers. Excellent service. Well-appointed rooms with funky design perfect for young travelers. Location is pretty much close to everything. It is a perfect place for a small getaway or staycation. Offering captivating views across the city skyline within walking distance of the vibrant Downtown area and Burj Khalifa, the newly opened Renaissance Downtown Hotel, Dubai sits directly on the Dubai... Clean room . Nice view . Professional staff. Al Bandar Rotana is a striking, ultra-modern hotel with a prime waterside location in the city’s original heartland. The overall experience was amazing, the staff was so helpful, kind, smart and friendly. The rooms are clean, comfortable and nicely designed, the views towards the creek and Dubai skyline are epic. The facilities, the restaurants, the pool are awesome. I would definitely go back again, the service was impressive and the whole experience exceeded my expectations. Strategically placed between new and old Dubai, Rove Trade Center offers the perfect location for leisure and business guests alike. Clean, friendly-staff, cozy ambiance, small supermarket convenience, Starbucks for coffee lovers, plenty of parking at basement, and attractive hotel rates. Address Dubai Marina is directly linked to the popular Dubai Marina Mall, which features 160 stores from eclectic boutiques to high-end designer brands, while those in search of sea and sand will find... This amazing hotel is the best hotel I have ever seen in my life. Everything is magical there. Set in a traditional palatial residence, Palace Downtown overlooks Dubai Fountain and the lake surrounding Burj Khalifa. It features an Arabian-style spa and a gym with personal trainer. the best hotel in Dubai soooo clean and u get the best view in Dubai. Located on Dubai Marina promenade, the 5-star Grosvenor House offers panoramic views of Dubai Marina, personalized butler service, an outdoor pool, free WiFi and an extensive range of culinary... Oustanding Service and Loved loved the wine and cake and bday card..The upgrade was Wonderful.. Located on the Dubai Creek, Zabeel House MINI by Jumeirah is playful, pocket friendly and located right in the heart of the hustle and bustle; perfect for eager explorers. Excellent service. Well-appointed rooms with funky design perfect for young travelers. Featuring an outdoor swimming pool and views of city, Flora Inn Hotel is located in Dubai, just a 10 minute drive from Deira City Center Shopping Mall, Festival City Shopping Mall and Al Ghurair... Everything about my stay was wonderful! Boasting the title of the tallest hotel in the world, the 4 star Gevora hotel is located on Dubai’s Sheikh Zayed Road in the Trade Center Area of the city and is ideal for guests looking for an easy... Great location , amazing view. Very comfortable , big rooms. Located in Dubai, a 14-minute walk from Grand Mosque, Al Khoory Inn Bur Dubai provides air-conditioned rooms with free WiFi. This 2-star hotel offers a 24-hour front desk. I love the 3D interior decoration so on point. Staff were friendly and very helpful. Located on the Eastern crescent of Dubai’s iconic landmark, Aloft Palm Jumeirah brings a distinct lifestyle experience to the region. excellent choice for breakfast. great facilities. excellent staff . TRYP by Wyndham is a new lifestyle hotel in Barsha Heights which is only 1969 ft away from Dubai Internet City metro station. Our stay at TRYP by Wyndham Dubai was very pleasent. Located in the heart of Downtown Dubai, connected to The Dubai Mall and 10 minutes away from City Walk, Sofitel Dubai Downtown is an beautiful oasis that blends urban sophistication with refined... Very kind and helpful staff in front desk and gave us room when we arrived early morning. Which neighborhood is the best one to stay at in Dubai? 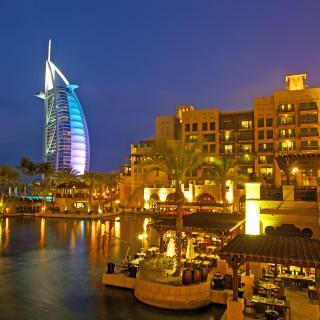 Bur Dubai, Deira, and Umm Suqeim are popular with other travelers visiting Dubai. Which hotels in Dubai are good for couples? These hotels in Dubai are highly rated by couples: Grosvenor House Hotel and Apartments, Raffles Dubai, and Zabeel House MINI Al Seef by Jumeirah. How much is a hotel in Dubai for tonight? On average, it costs $119 per night to book a 3-star hotel in Dubai for tonight. You'll pay around $149 if you choose to stay in a 4-star hotel tonight, while a 5-star hotel in Dubai will cost around $425, on average (based on Booking.com prices). 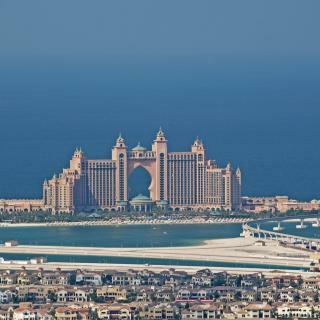 What are the best hotels in Dubai near Atlantis? Some of the best hotels in Dubai near Atlantis include Atlantis The Palm, Dubai, Dream Inn Dubai - Executive Palm Beach Villa and Dream Inn Dubai - Signature Villa. Which hotels in Dubai offer an especially good breakfast? For hotels in Dubai that serve highly-rated breakfasts, try Al Bandar Rotana – Dubai Creek, Raffles Dubai, and The Oberoi Dubai. Which hotels in Dubai have nice views? Renaissance Downtown Hotel, Dubai, Park Hyatt Dubai, and Address Dubai Marina got great room view-related reviews from travelers in Dubai. Which hotels are the best ones to stay at in Dubai? Grosvenor House Hotel and Apartments, Raffles Dubai, and Renaissance Downtown Hotel, Dubai are some of the popular hotels in Dubai. Which hotels in Dubai are good for families? Many families visiting Dubai loved staying at Jacob's Garden Hotel, Emerald Palace Kempinski Dubai, and Rove Healthcare City. How much does it cost to stay in a hotel in Dubai? On average, 3-star hotels in Dubai cost $86 per night, and 4-star hotels in Dubai are $150 per night. If you're looking for something really special, a 5-star hotel in Dubai can be found for $320 per night, on average (based on Booking.com prices). How much is a hotel in Dubai for this weekend? The average price per night for a 3-star hotel in Dubai this weekend is $160 or, for a 4-star hotel, $257. Looking for something even fancier? 5-star hotels in Dubai for this weekend cost around $726 per night, on average (based on Booking.com prices). What are the best hotels in Dubai near Dubai Airport? Travelers who stayed in Dubai near Dubai Airport (DXB) have said good things about Dubai International Terminal Hotel, Premier Inn Dubai International Airport, and Holiday Inn Express Dubai Airport. The cosmopolitan and architecturally stunning Dubai is a truly global city. With its ultramodern skyscrapers, the artificial archipelago of Palm Islands and the world’s largest shopping mall, Dubai offers something for every taste. Surrounded by a desert, this city is the futuristic gem of the Middle East and the United Arab Emirates. Chic yachts call the city’s upscale marina home, as well as the 30-acre manmade Burj Khalifa Lake and the world's largest dancing Dubai Fountain. With all of this, visitors might momentarily forget they are in a desert. You can relax on a beautiful sandy beach, explore the local souks and their treasures or enjoy a trip to the amazing Dubai Desert. Don’t forget to stop at Burj Khalifa’s observation deck and admire the city panorama from nearly 1500 feet. Dubai has even more to offer: camel races, hot air balloon flights, fast rides over sand dunes and even snow skiing! 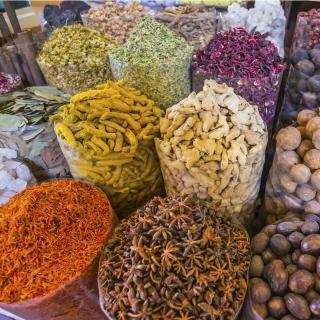 Make sure you try local cuisine and visit the Spice Souk, famous for its thousand and one spices. Getting to the city center from Dubai International and Sharjah International Airports is easy. Whether you’re looking for a stunning luxury hotel, a beachfront suite or an intimate resort, Booking.com has the perfect place to stay for your Dubai adventure. It's a cool city to tour, and I recommend taking the Big Bus tours to get an overview of the city first and then deciding what to do after that. Big Bus also offers day trips to Abu Dhabi and desert safari's which was fun. Dubai is a great holiday location for a family, there’s lots to do and so many locations to visit. Our favorite was Dubai Parks and resort, it had everything. However, Dubai is also very expensive one needs research ahead and have a good budget before embarking on the trip. We had a great stay at Flora AlBarsha Dubai. We had a great stay at Flora AlBarsha Dubai. The staff have always been friendly, especially Mahesh, one of the management staff, who was extremely professional and helpful during all of our stays. We always seem to find our way back to Flora (Al Barsha) when visiting Dubai, the place is very clean and quiet and that make us feel comfortable to go back there time and time again. Its a home away from home. Our apartment was lovely and big with Kabila marina view, it was very clean and cleaned whenever required! The location was perfect as the hotel led straight out to the marina promenade where there are lots of restaurants etc and it is a lovely walk by the marina. There were also two supermarkets right outside! A taxi to most places further away were no more than 25 dirhams (except to Dubai Mall) but the metro station was also close by! Would definitely recommend this hotel and would absolutely stay here again! One of the best hotels I have ever stayed in. It has been built recently, so everything was new, clean and modern. It is very quiet and the high-tech facilities made the stay stunning. It is connected to the festival city mall and very close to Dubai international airport. About location I cannot tell, because I came for business in Dubai Festival City, so I am not sure about its location for sightseeing purposes or whether it is close to public transport. However taxis are always available outside the hotel. Absolutely everything. The hotel is new, clean,with the attention to detail. The location is also nice,close to the Dubai Marina,the Palm,JBR beach and the Mall of the Emirates but a bit far from downtown.The staff is great. I don't know where to start. Special shout-out to the guy that makes coffees at the breakfast. 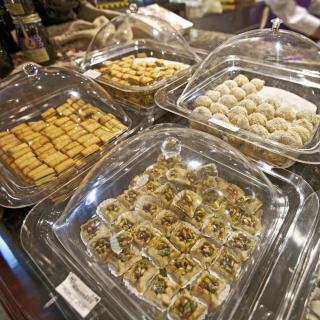 Which is very tasty and with a variety of items to choose. I hope they will keep it like this. We can't wait to see you again soon!!!! All the hotel staff I met were very helpful and friendly; location is quite good @ right by Dubai Festival City, and not too far from Dubai Mall, Dubai International Airport, etc. To be honest - my stay here was due to an emergency situation at my apartment which meant I had to stay away for a day or two -so the fact that I booked a room on booking.com and arrived less than an hour later and was able to check straight in was magnificent imo. Location of the Rove Downtown is very good. Just a 5 minute stroll to the Dubai Mall and the Burj Khalifa. Like everything else in Dubai, the hotel is very new and modern. It contained everything we needed. Breakfast at the restaurant (Fridays) was very nice. The gym is also very well equipped. There is also a good self laundry and ironing facility. Staff were also friendly and helpful. the location is great as it's very near the downtown area ( burj khalifa, Dubai mall, business bay) . also it's by sheikh zayed road near many shops and restaurants, and the metro is right next to the hotel if you wanna take the train or cross the bridge to walk on the other side of sheikh zayed. the hotel was clean and the rooms are clean and comfortable. The price is good. I booked 2 connecting rooms for 4 person,including breakfast. Rooms were quite big, shower was clean, beds comfortable. The breakfast had the variety of different choices. It’s a family friendly hotel. The location is good,easy access to Mall of The Emirates,Dubai Marina, The Palm etc. Always taxis available at the hotel entrance. Close to the beach with views, great breakfast & decent sized room with gym. Approx 10mins drive to Dubai Mall & 30 mins drive from airport. Ability to leave bags with reception after checkout & use facilities until 9pm. Taxi rank right outside hotel. Overall great property if you want to be in JBR hub. I liked our room, it had a GREAT view of Dubai, you can see both the Burj and the Dubai Frame from our room window. The hotel is located in Dubai Creek which is up and coming, the hotel is relatively close to Dubai Mall and the Airport. It's quite a long way from Dubai Marina but not that far. We really enjoyed our stay here during our 1st visit to Dubai. In a great location bring close to the marina and a walk away from its sister hotel Le Meridian which is on the beach. The apartment was lovely and very well looked after each day. I would definitely recommend these apartments. It's One of the best in Dubai, The price, the staff, the bar, the restaurant and most importantly the The location is excellent, you can drive everywhere easily . Few minutes drive to Deira, down-town Dubai , Dubai Mall and the metro is just 2 minutes from the hotel. This hotel is around 700m to metro station(only 6 station to Dubai Mall or Burn Kalifa and 11 station to Marina Dubai) Reception is so friendly, wifi is super good. Near by a lot market stall and few cafe. To airport is only 4 metro stop or 10 min by taxi. Lovely hotel! Near Airport! Airport shuttle and transfer to Dubai Mall. Love the pool on rooftop. Have stayed here before and love it. I liked everything about it. The room, beach, pool and FOOD😍.